Altima firmly believes that good dental health should last a lifetime. For college and university students, we understand the many new financial challenges you face at this stage in your life, such as rent, tuition and books. We care about your lifelong dental and overall health, and want to invest in your regular dental visits. This is why Altima Dental Centres are pleased to offer all post-secondary students up to 30% off of general and cosmetic dentistry services. Now you can take care of your college or university expenses, enjoy your social life and dazzle your friends with an A+ smile! Simply contact your nearest Altima Dental Centre to book your dental appointment and ask us to send you “Back to School with a Smile”! Please bring your current post-secondary ID to every appointment. Call 1.888.81SMILE (1.888.817.6453) to connect to an Altima Dental Centre near you in Ontario. * Up to 30% off of standard Provincial or Regional fee guides on general & cosmetic dentistry services; at participating centres. Must provide current post-secondary ID for Canadian Colleges or Universities. For older adults, maintaining good dental health is essential. Neglecting minor dental treatments could lead to more serious health problems down the road. As the cost of living continues to increase, we understand that seniors or older adults may have difficulty financing affordable dental care. At Altima Dental, we are committed to improving and maintaining the dental health of our young-at-heart (aged 60 plus) population. This is why we are pleased to offer all seniors 10% off dentistry services at participating Altima Dental Centres. If you or your family members are 60 plus, take advantage of our special offer! Simply contact your nearest Altima Dental Centre to book your dental appointment and say “We heart seniors!” Call 1.888.81SMILE to connect to an Altima Dental Centre near you. *10% off the Ontario Dental Association fee guide at participating centres. This is an ongoing promotion and cannot be combined with any other offer or discount. Ask us for details! Are you putting off dental treatment because of financial concerns? You will be pleased to know that Altima offers a very unique 0% Payment Plan that hundreds of our patients are taking advantage of! Our 0% Payment Plan* allows you to spread out the cost of your dental treatment over a 6 to 18 month period interest-free, instead of paying a large sum all at once. You can afford the healthy smile you need now while comfortably paying for your treatment in small, monthly payments that fit your budget. 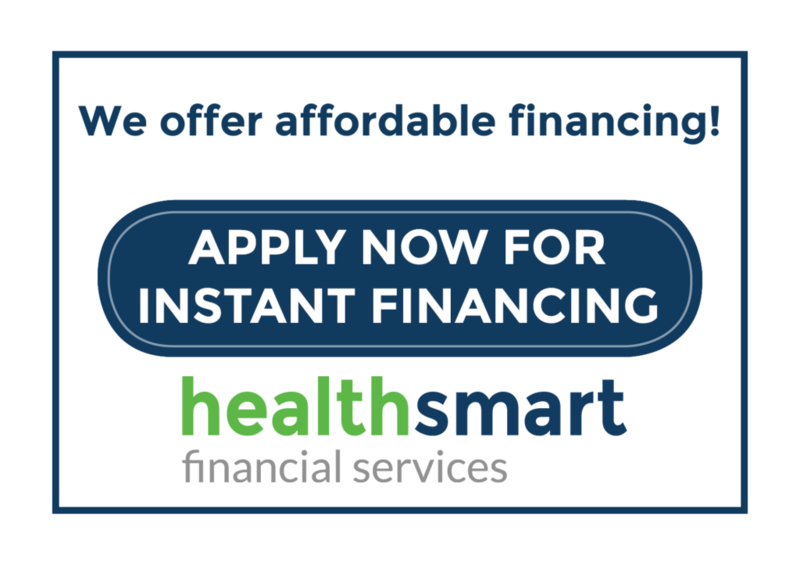 Click here to apply for instant financing, or call 1.888.81SMILE and ask about our 0% Payment Plan! Our toll-free Dental Emergency Helpline is available 24 hours a day, 7 days a week for dental emergency assistance – even on holidays! Your call will be answered by a live operator who can connect you to the nearest, open Altima Dental Centre, or direct you to an emergency centre. What is considered a dental emergency? Click here for a list of symptoms. *The Dental Emergency Helpline service is available for Dental Centres in Ontario only; the Dental Emergency Helpline is for dental emergencies only. Introducing Altima Healthcare, the largest multi-disciplinary health care network in Canada! Altima Dental Centres are offering no-obligation and no-cost complimentary consultations! We understand that choosing a healthcare provider is a very personal decision and want to ensure that you are comfortable with your dental team before committing to an examination or treatment plan. This is why we invite all new patients to schedule a 10-minute, complimentary consultation with any of our Altima Dental Centres. There is no-obligation and no-cost for a complimentary consultation! This is your chance to meet the dental team or discuss general and cosmetic dentistry services in a relaxed, conversational setting. Click here to learn more or to book your complimentary consultation today! Dundas SquareCall us at Altima Dundas Square Dental Centre to receive an Electric Toothbrush after your new patient exam and hygiene – compliments of Altima Healthcare! Time-limited offer – ask us for details!Contact the Altima Dundas Square team for more information or to book an appointment. OxfordPamper yourself or someone you love with a teeth whitening package. Choose from three uniquely tailored packages at more than 35% off! More than 30% off Custom Night Guards! Contact the Altima Oxford team for more information or to book an appointment. Scotia PlazaAltima Scotia Plaza Dental Centre is offering complimentary Invisalign consultations with Dr. Sharma, a certified Orthodontist and Invisalign provider. Virtually invisible and removable, Invisalign® braces can give you the beautiful, confident smile you’ve always wanted and no one can tell you’re wearing them! Contact the Altima Scotia Plaza team to reserve your complimentary consultation!